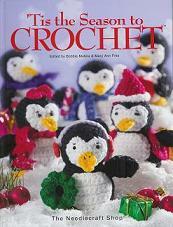 Welcome to the crochet pages of designer, Elaine Bartlett! Below is a little information about my published designs. To see more about the designs, click on the publisher's logo in the table. 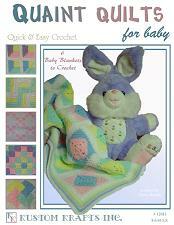 One booklet, Quaint Quilts for Baby, published by Kustom Krafts. I do have a few copies left. Please email me if you are interested in obtaining one of these copies. 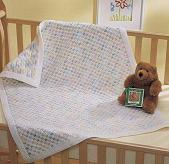 One baby afghan, Reversible Stripe Afghan, published by Herrschners as part of their Grand National Afghan Contest. 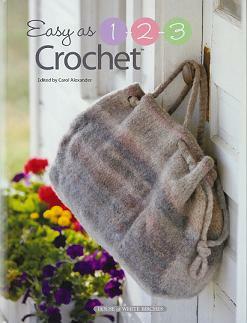 One project, Stocking Stuffer Scrubbie, published in Tis the Season to Crochet. A hardback, sprial-bound book published by The Needlecraft Shop. 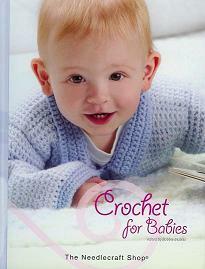 And one project, Grandma's Double Delight (a baby afghan), published in Crochet for Babies. A hardback, sprial-bound book published by The Needlecraft Shop. 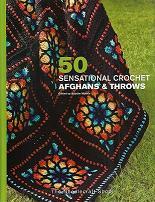 And two projects, Contemporary Pinwheel and Fantasy Garden, published in 50 Sensational Afghans and Throws. A hardback, sprial-bound book published by The Needlecraft Shop. And five projects, Harvest Rug, Filet Ripple Afghan a baby afghan, Dog Bed, Sand & Sea Afghan, a throw and Snakes Alive a boy's scarf, published in Quick-Stitch Crochet. A hardback, sprial-bound book published by The Needlecraft Shop. There is a CORRECTION printed for the Snakes Alive pattern. Please find the correction, here. 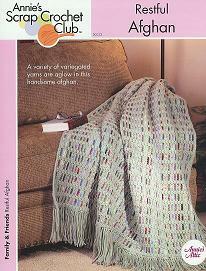 One project, Loopy Fringe Pillows, published in The Easy Learn to Crochet In Just One Day book. 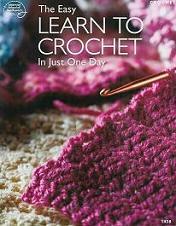 A softcover, 128-page book published by American School of Needlework. 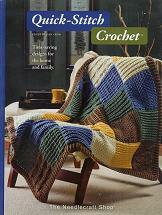 Four projects, Spa Set, Kitchen Set, Flower Patch Afghan, and Blue Skies Throw, published in Easy as 1-2-3 Crochet. A hardback, sprial-bound book published by House of White Birches. Rainbow Fun Afghan -- another baby afghan. 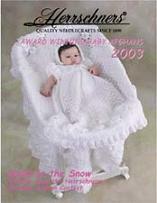 published in the November/December 2006 issue. Have questions or comments?? Please email me! !